Pick an activity you love and start moving! A recent study revealed some shocking results to the public, but not so shocking to the fitness industry. Health and fitness industry experts have long known the incredible health benefits from exercise, not just for your body but your mind. The main reason I dove into the fitness world was discovering this amazing key to longevity and happiness and I made it my mission to motivate the masses to move. The general population knows that to lead a healthy long life we have to eat healthy and exercise, and even though we know this, we still don’t do it. There are many factors to why we are so complacent to living our sedentary lives and it comes back to the fact most of us don’t really know why we should do it in the first place. According to the study published in the journal JAMA Network Open, researchers must now convey the risks to the general population that being unfit should be considered as strong of a risk factor as hypertension, diabetes and smoking, if not stronger than all of them. In the study, researchers retrospectively studied 122,007 patients who underwent exercise treadmill testing at Cleveland Clinic between January 1, 1991 and December 31, 2014 to measure all cause mortality relating to the benefits of exercise and fitness. Those with the lowest exercise rate accounted for 12% of the participants. Fitness leads to longer life, researchers found, with no limit to the benefit of aerobic exercise. Being unfit on a treadmill or in an exercise stress test has a worse prognosis, as far as death, than being hypertensive, being diabetic or being a current smoker and comparing those with a sedentary lifestyle to the top exercise performers, the risk of premature death was 500% higher. Comparing somebody who doesn’t exercise much to somebody who exercises regularly still showed a risk 390% higher. The study showed there actually is no ceiling for the benefit of exercise and there’s no age limit that doesn’t benefit from being physically fit either. The benefits of exercise were seen across all ages and in both men and women and were a little more pronounced in females. The study revealed whether you’re in your 40s or your 80s, you will benefit in the same way. What I liked and that made the study so unique, is that researchers weren’t relying on patients self reporting their exercise which can be very subjective at best. Researchers instead tested the patients and figured out objectively the real measure of what they did. As a fitness professional I am happy when studies like this come out that make the general poulation aware of the amazing benefits of exercise. However I know as much as you can shock people with statistics, they actually have to be the ones to decide to take the steps to start moving and change their lives for the better. I choose to workout first thing in the mornings, usually around 6am as there are so many studies and research on why morning workouts are so beneficial. One factor is Excess Post Exercise Oxygen Consumptions (EPOC) this basically means that your body burns more calories after your workout, even when you’re sitting at a desk or driving in your car. One study showed that participants burned an extra 190 calories in the 14 hours after exercise when compared to those who didn’t exercise at all. Working out in the morning will keep benefiting you throughout the day because whenever you eat your body does 1 of 3 things with the calories you take in. It can use it as a source of energy, it can use it to replenish your body or it can store it for later (fat). So by working out in the morning, what you eat after is replenishing your body and providing calories to meet your higher metabolic needs. You do not get this benefit when you exercise later in the day. Moving in the morning can also be a tremendous source of energy, something many of us need when we start our day and exercise has been shown to improve focus and mental abilities all day long. Not only will you feel awake and have more energy after your workout, but your mind will be ready to take on whatever tasks you have lined up that day. Some research has measured the effectiveness of exercise to “wake up” the mind, and the results show that it does a better job than coffee! Lastly you will get better sleep by moving in the morning. A recent study had participants exercise at 7am, 1pm or 7pm three days per week. The participants that consistently worked out at 7am had the deepest, longest sleeps. Morning exercise not only improves the length of sleep you will enjoy, but also your quality of sleep by promoting deeper sleep cycles. Evening exercise can actually have the opposite effect. Exercise is a form of stress, and your body reacts to stress by releasing hormones including adrenaline which is the same hormone you would release if a bear was chasing you. Not really something you want released right before trying to get some shut eye. Just to be clear. I am not saying don’t work out at night. I am a huge advocate about getting your workouts in however your lifestyle allows you to. It is definitely better to work out at night then not at all, you will just miss out on the major benefits of a morning workout. Now I know most people aren’t like me who loves working out and eating right. I need very little motivation to get me out of bed in the mornings to hit the gym. However most of my clients don’t have the same drive and I have worked with them to help to get them motivated. First have some nice gym clothes. I know this one is a little superficial, but it works. Splurge on some nice leggings, sports bra and some proper shoes and you will feel great and confident in your workouts. Second do not hit snooze! Based on all the above knowledge I dropped on you, you are doing yourself a major favor by getting out of bed and moving. It has been shown that just 4 minutes of tabata in the morning is all you need to get some amazing health benefits. What the hell is Tabata you ask. Tabata training is one of the most popular forms of high intensity interval training (HIIT). It consists of eight rounds of ultra high intensity exercises in a specific 20 seconds on, 10 seconds off interval. 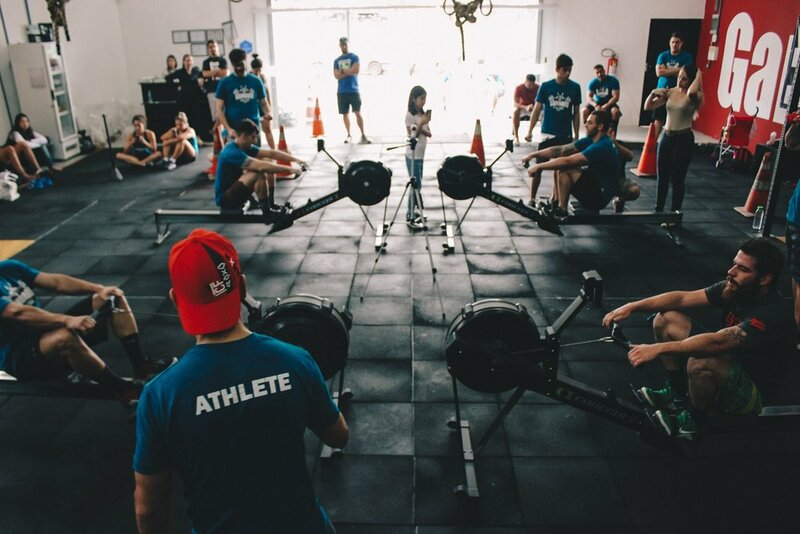 When the Tabata Method was performed four times per week for six weeks, participants in one experiment increased their anaerobic capacity by 28 percent, and their VO2 max (an indicator of cardiovascular health) and maximal aerobic power by 15 percent. This is in contrast to the control group, who performed an hour of steady cardiovascular exercise on a stationary bike five times a week. These participants improved their VO2 max by just 10 percent, and their regimen had no effect on their anaerobic capacity. The workout even activates mitochondrial biogenesis, or the formation of new mitochondria, in skeletal muscle, a decline of which is common in aging. Tabata not only burns the same calories in four minutes as an hour of steady state exercise like biking or jogging, but there is a signfigant after burn affect where an additional 150 calories are being burned up to 12 hours after you leave the gym. Tabata can be an amazing way to start your day when you are crunched for time. Another thing that even worked for me to form a morning workout habit was jumping out of bed without letting the thoughts of, no stay in bed it’s warm, go tomorrow take over. To achieve this you need to start putting your phone away from arms reach so you have to phyiscally get out of bed to turn it off. Look at that, you’re grumpy, but you’re out of bed. Now next make sure you have laid out your gym clothes, underwear, shoes and packed your gym bag. You want to make as little decisions as you can in the mornings. Wash your face put your clothes on, grab your bag and get out the door. Make sure you chug some water before you start your workout and put your headphones in and listen to your favourite motivational podcast or songs that make you happy and you feel empowered because this will get your mind into workout mode. Lastly pick an activity you actually enjoy doing. This one is key. The risk of not enjoying your chosen activity is the moment you feel it isn’t fun, will be the moment you associate working out with negative thoughts and it will be even harder to motivate yourself as time goes by. I have lived in different cities with different climates all around the world, so I have changed my activities accordingly. For example I grew up in the country riding horses, moved to Bondi Beach and fell in love with paddle boarding and surfing, moved to Berlin and because it is cold most of the year that’s when my love of the gym started, horses again in the Netherlands, kickboxing in Nashville, hiking and strength training in Los Angeles and then finally yoga and crossfit in NYC. So as you can see I have had many different fitness loves throughout my life, but the thing they have in common is that all of them challenged me in a way that I loved and that kept me coming back for more. That is the key to success, nothing new is going to be easy at the start, nothing in life is, but if it’s something you love despite the challenges, keep going, as the progress you see will keep you motivated and you will feel so proud as time goes by. So make it your mission to go out and try an activity or sport you have always wanted to try and see if you love it. It may just become your daily exercise routine and hell, it might just save your life.